UPDATE: MY HD-PVR HAS ARRIVED AND I'VE POSTED THE HD-PVR UNBOXING AND FIRST LOOK ALONG WITH SEVERAL TEST CLIPS. The buzz on the HTPC forums continues to build around the Hauppauge HD-PVR - the first consumer-based product for HTPCs to record HD content (encrypted and otherwise) through the "analog hole". I've been scouring the web, contacting Hauppauge, and corresponding with the leading HTPC software companies to get the scoop on this device. Now that they are finally shipping (starting today), more and more information will begin to flow out and this is just the start. I'll share with you as much as I know about this device in a Q&A format. If I've missed anything you are curious about, let me know in the comments and I'll do my best to answer your question or find out for you. Remember to check back here for the unboxing/first thoughts post and the detailed review of the HD-PVR. What is the Hauppauge HD-PVR and why you should care? The Hauppauge HD-PVR (Model 1212) provides a way for Home Theater PC owners to capture true-HD TV content without the need for a cablecard tuner. You will need a cablebox or satellite box with component video outputs and will need to use the included IR blaster or set up firewire tuning to control the channel changes. Note that this device can view and time-shift (with the proper software) all content whether it was encrypted or not because it gets it's content from the analog, component output found on most satellite and cable boxes. Since the analog, component outputs aren't encrypted (and likely can't be) the content is viewable and recordable regardless of what channel. 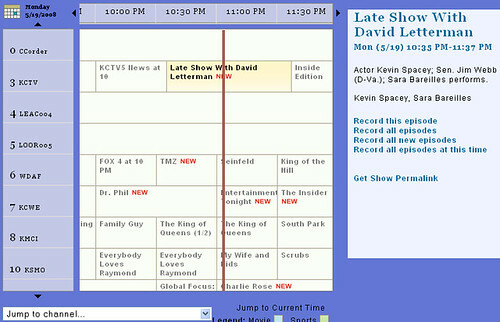 This is why this workaround is sometimes referred to as the "analog hole" for TV. Do you need a separate tuner to use it? No, the Hauppauge HD-PVR doesn't require a tuner to work. Instead, it handles the encoding of the analog video right. It's important to note that you can only use one tuner from one cable/satellite box per HD-PVR - even if your box has a dual tuner on it. How does it connect to your HTPC? The HD-PVR connects to your PC directly through the USB port. What will be the quality of the video output from the HD-PVR? 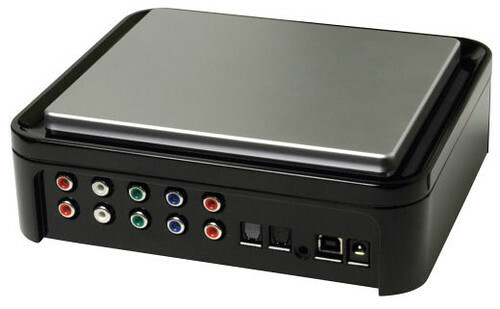 The HD-PVR takes the analog signal and converts (encodes) it into the H.264 format using an H.264 HD encoder. This means it will not be the pure digital signal so there will be some loss through the encoding - how much we don't know until we try it. One postive here is that the H.264 encoding means the resulting file won't take up as much space on your HTPC's hard drive. For the record, the HD-PVR records at data-rates from 1Mbs to 13.5Mbs, Constant and Variable Bit-Rate. Will the HD-PVR record Dolby Digital 5.1? Initially, the software will only support PCM stereo (2.0), but DD 5.1 should become available in a software update to the HD-PVR - supposedly within the next 4 weeks per Hauppauge. I already have HTPC software, which ones will support this device and when? SageTV - CONFIRMED TO BE SUPPORTED - "We hope to provide support as soon as the HD-PVR ships" Mike Machado at SageTV. The Windows version of SageTV (beta version) includes tentative support for the HD-PVR. BeyondTV - PLANS TO BE SUPPORTED - It's being tested in private beta. Per Rakesh Agrawal at Snapstream: "Don't know when we'll have a release with HD PVR support, but all indications are that we will support it. Hauppauge still has some final driver work to do, by my account, so until then it's not possible to say with 100% certainty." The most recent beta version of BeyondTV should work for the device although only in a very tentative beta stage. Will the SageTV's HD100 Extender be able to handle playback from the HD-PVR? SageTV's HD extender (read review here) handles the HD-PVR test video/audio file as well as anything I've seen. No messing with codecs or anything - it just works perfectly. NOTE: Must use the latest SageTV beta and HD Extender firmware. So it comes with its own software? Will it work with my existing computer? What are the recommended minimum requirements? The exception to this would be the SageTV HD100 Extender which handles HD-PVR output with no problems. Besides using this thing as a way to time-shift and record HD content, what else will it be useful for? One use will be to burn your TV recordings onto a standard DVD disk (up to 2 hours of video at 5MBits/sec) and playback on Blu-ray DVD players. Another use might be to record HD output from a video game console for instance. Obviously the main intended use for this thing will be to give HD recording capability for HTPCs regardless of the channel. Since the HD-PVR requires you have a cable box or satellite box, how will it change the channels? Included with the HD-PVR is Hauppauge's own IR Blaster which can be used to change the TV channels in your set top box. The box has an IR receiver as well. One alternative method for changing the channels might be using the firewire port of some (not all boxes allow this) cable/satellite boxes if you have the time and know-how to set this up. How much room will this HD-PVR take up? Is it heavy? Some recent photos of the HD-PVR show blue, LED lights around the top of the unit. Will there be these types of LED lights on the post-production units? What inputs and outputs will the HD-PVR have? How many Hauppauge HD-PVRs can be used with a single PC? The HD-PVR comes with drivers that do support multiple tuners, but testing by them has been done with only one at a time. Support for multiple tuners will depend on the HTPC software you are using so we'll have to wait and see what SageTV, BeyondTV and others are supporting before we know the answer to this. If you do use multiple HD-PVR's you should note that it will require you have one cable/satellite box per HD-PVR and you will need a way to change channels for multiple devices (i.e. IR blaster). If you ordered two or three units, but have only been charged for one. What's up with that? Hauppauge Sales has confirmed that they are shipping one unit per order for the moment - I'm assuming the additional ones would ship in the next group. Hauppauge has plans for an HD-PVR model for Europe, but no ETA at the moment. Where can I find photos of the board used in these HD-PVRs? Where can I find the latest drivers, accessory programs, manuals and other official information on the HD-PVR? Where can I find a review of the HD-PVR? Subscribe to this blog and check back soon. As soon as it arrives I'll be doing an unboxing/first thoughts post and then a more detailed review using SageTV as well as BeyondTV HTPC software. If you're a heavier user of Netflix's streaming movie service "Watch Now", you may have run into the Netflix-imposed restriction of three computers maximum. If you attempt to install and use Netflix Watch-Now on a fourth computer you will most likely get an error telling you to contact customer service to get another "key." This hack has been around on the forums for a while now, but Tech-Recipes today posted the simple how-to on getting around this restriction without needing to contact Netflix Customer Support. Why Would You Need This On More Than 3 PC's? If your wondering how one would ever need to use Netflix Watch Now on more than three computers then consider this scenario. I have three HTPCs at home, one laptop from work that goes with me everywhere, my daughters laptop and my wife's laptop. Any of those computers are likely to access Netflix Watch-Now at any time to pick up a show or movie. The workaround for this is pretty simple involving a registry hack and a few additional steps. Check it out at Tech-Recipes.com. I've tried it on a fourth PC and it worked perfectly. 7 Steps to Beat Netflix "Throttle"